…in a land far far away, there lived a young girl, EP, who was very fond of desserts, but sadly did not know how to bake or even cook. She ranged the kingdom far and wide, hunting for ways to make her sweet tooth happy. 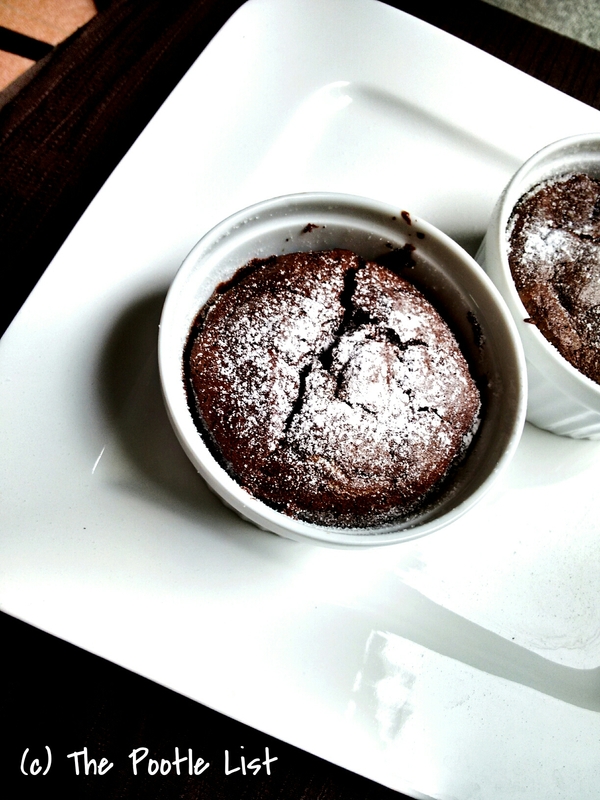 Till one day, she chanced upon the perfect bite of bliss – a warm vanilla soufflé at Indigo in Mumbai. Boy, oh boy! When the custard was poured into the gently deflating soufflé, and EP had her first bite, she did believe that she was in paradise. For you see, there was a faint whisper of wings that fluttered and the angels began to sing. There was a crescendo of music as she gently walked out on the vanilla scented clouds and floated on to the stairway to heaven. Many years passed, and EP gradually learnt the basics of cooking and even acquired an oven. She dabbled, muddled, lost and burnt her way through several recipes. Through all her experiments, the memories of the soufflé haunted her and she became more and more determined to try her hand at it. She made time between watching cat videos on the internet, to study the art of soufflé making. She read about it, watched people on TV bake it and Youtubed it to deflation. She even bought a special set of ramekins and put it on her bucket list: Make the perfect soufflé. Only she never got around to actually making it. Between fits of dozing (because of certain deficiencies) she stumbled upon this the Kitchn article. EP realized that if she halved the recipe, she could make do with the exact number of eggs in the fridge. Inspired, she leapt out of bed and started melting chocolate and whisking eggs like a woman possessed. She slid the ramekins into the oven and whispered a prayer to the God of All Things that Rise. As EP sank her spoon into the little pillow of chocolate for the first bite, there were tears in her eyes. While the entire host of angels did not show up and there wasn’t a full orchestra playing, there definitely were heavenly strains that sounded, and the air shimmered with magic. She had found her happily ever after.